Product #32278 | SKU X-TOUCH MINI | 0.0 (no ratings yet) Thanks for your rating! 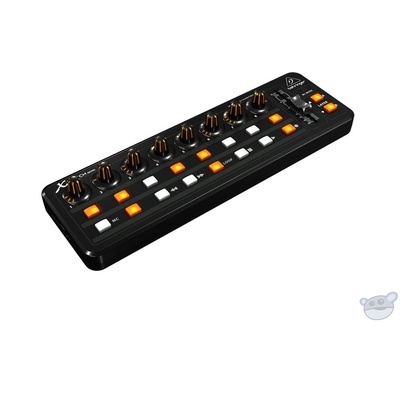 The X-TOUCH MINI Universal USB Controller from Behringer is designed to provide you with control over your DAW and MIDI controllable instruments via Mackie control protocol. It features 8 rotary encoders with LED collars, 16 dedicated illuminated buttons, and a 60mm master fader. The controller's dual-layer mode allows you to switch between DAW and instrument control configurations with the press of a button. The controller can connect to your Mac or PC via USB. . While the X-TOUCH MINI is pre-configured to work out of the box, an editor application for in-depth configurations can be downloaded from Behringer.